I absolutely love Indian food. 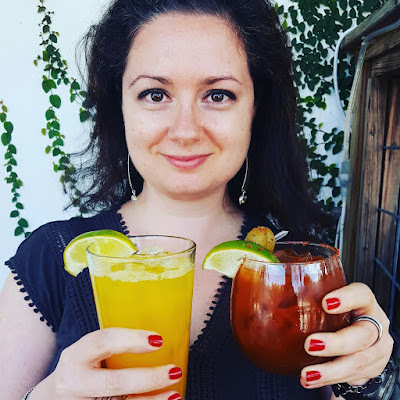 I don't make it too often because typically there are a zillion ingredients involved, but last week I was craving something warm, fragrant and homey. 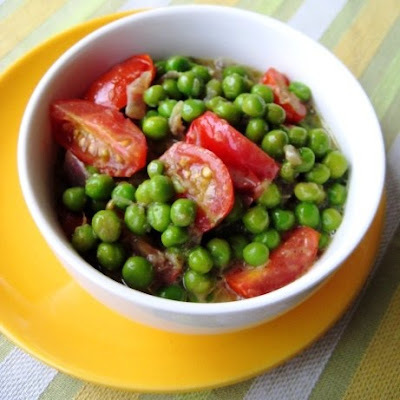 I decided to come up with an easy recipe for Pea and Tomato Curry. 1. Heat oil in a pan. Add ginger, garlic and red onion and cook for 2 minutes. 2. Add spices and cook for another minute. 3. Add coconut milk, stir, and simmer for 5 minutes. 4. Add peas, cook for 2 minutes. 5. Add tomatoes, cook for 1 minute. If you want your tomatoes to be mushy, cook for a longer amount of time. 6. Serve over rice or noodles. This dish was great for leftovers for several days to come. You can add other vegetables into it as well: cauliflower, potatoes, peppers, etc. I cook curries a lot, so if you look inside my larder it looks like witch's work station lol. I've got everything except eye of newt. I adore Indian food too...another beautiful and enticing tomato creation! looks good oh I know what you mean about all the ingredients! I love to eat this way. This looks delicious. Sounds delicious! I love coconut milk! These look great, simple healthy and delicious! I also love the color! 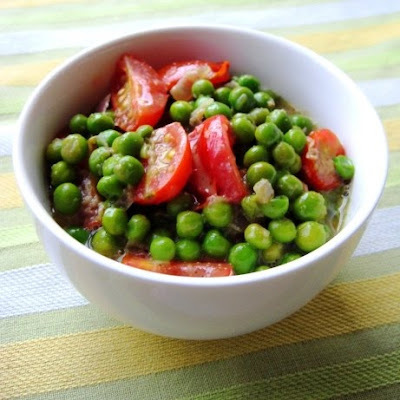 I have never thought of using just peas and tomatoes in a curry! This is really a meal in a flash...all the right Indian flavors, yet half the effort and time!!!! I love adding peas in everything! Yummie dish! A delicious curry and looks like a easy recipe. I also don't make Indian specialties too often because of so many ingredients involved but I love it. I love how simple this is. My curries sometimes comprise half a dozen different vegetables, all requiring prep and their own shift for cooking. This is a good reminder that you can make nice curry with just three veggies.